Arijit Nandi holds a Canada Research Chair in the Political Economy of Global Health. He is an Associate Professor jointly appointed at the Institute for Health and Social Policy and the Department of Epidemiology, Biostatistics, and Occupational Health. An epidemiologist by training, Arijit is broadly interested in the impact of social and economic factors on population health. His primary research interests are: (1) assessing multilevel associations between economic characteristics and population health; (2) investigating the relation between social and economic policies and population health and health disparities in a global context; and (3) estimating causal effects of economic interventions on mental health. A former Robert Wood Johnson Health and Society Scholar at Harvard University, Arijit received a PhD from the Department of Epidemiology at the Johns Hopkins Bloomberg School of Public Health. Madhav Badami has a joint appointment in the School of Urban Planning and the McGill School of Environment at McGill University. He is also a core faculty member in the inter-faculty BA&Sc programme in Sustainability, Science and Society at McGill. His teaching and research interests are in the areas of environmental policy and planning; urban transport; alternative transport fuels; urban infrastructure and services; and environment and development. Timothy F. Brewer is the Vice Provost, Interdisciplinary and Cross Campus Affairs for the University of California, Los Angeles. Trained as a physician and epidemiologist, Dr. Brewer has published extensively on using analytic methods to optimize the control of infectious diseases in populations, particularly tuberculosis and human immunodeficiency virus. His current research interests focus on the prevention and control of multiple drug-resistant tuberculosis, global risk factors for emerging diseases and the improvement of worldwide outbreak surveillance programs. He has served on advisory boards and/or review panels for the World Health Organization, the National Institutes of Health, the Canadian Institutes of Health Research and the US Centers for Disease Control and Prevention among others. Dr. Brewer previously was the Director of Global Health Programs for McGill University Medical School, and he is the past Chair of the Board of Directors for the Consortium of Universities for Global Health. Cesar Carcamo is a Professor at the School of Public Health, Cayetano Heredia University. He graduated as an MD from Cayetano Heredia, and obtained his MPH and PhD in Epidemiology from the University of Washington. He will participate in PROSPERED in mentoring and training activities. The focus of Dr. Carcamo’s work is methods of epidemiology, with emphasis on sexually transmitted infections, global health, and health informatics. He has participated in the design, implementation, analysis and publication of a number of epidemiologic studies in these topics. John W. Frank trained in Medicine and Community Medicine at the University of Toronto, in Family Medicine at McMaster University, and in Epidemiology at the London School of Hygiene and Tropical Medicine. He has been Professor (now Emeritus) at the University of Toronto, at the Dalla Lana School of Public Health, since 1983; founding Director of Research at the Institute for Work & Health in Toronto from 1991 to 1997; and inaugural Scientific Director of the Canadian Institutes of Health Research - Institute of Population and Public Health (2000-2008). In July 2008, he became Director of a new Edinburgh-based Unit, funded by the Medical Research Council and the Scottish Chief Scientist Office: the Scottish Collaboration for Public Health Research and Policy. The Collaboration seeks to develop and robustly test novel public health policies and programs to equitably improve health status in Scotland, through the convening and ongoing support of researcher/research-user consortia. He holds a Chair in Public Health Research and Policy at the University of Edinburgh. In 2013 he was elected a Fellow of the Royal Society of Edinburgh in recognition of his scholarly contributions. Patty García is a Professor at the School of Public Health at Cayetano Heredia University (UPCH) in Lima. She is the former Minister of Health of Peru, Dean of the School of Public Health at UPCH, and former Chief of the Peruvian National Institute of Health (INS). She is recognized as a leader in global health, and has been a member of the PAHO Foundation Technical Advisory Group (FTAG), board member of the Consortium of Universities in Global Health and President of the Latin American Association Against STIs (ALACITS). She is an affiliate Professor of the Department of Global Health at the University of Washington and of the School of Public Health at Tulane University. She is actively involved in research and training on reproductive health, STIs/HIV, global health, HPV and medical informatics. 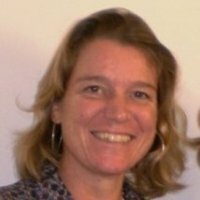 Eveline Geubbels is an epidemiologist with broad experience in applied public health and health systems research and evaluation, especially related to chronic diseases. For the past 15 years she has been based in Malawi, Rwanda and currently at Ifakara Health Institute in Tanzania. Her main focus is on optimizing the interface between people and health systems and increasingly, on the policy environment of both, employing methods such as controlled before-after studies, randomized trials, mixed methods observational studies and policy implementation analysis. Recognizing the strong impact on health of public policies beyond the health sector, she recently became involved in studies on social determinants of health, using both individual-level and ecological analysis. Dr. Geubbels combines her research role with supervision of postgraduate and postdoctoral students and with a position as head of the Health Systems, Impact Evaluation and Policy department. She holds an MSc in Biomedical Health Sciences from Radboud University and a PhD in Epidemiology from Utrecht University, both in the Netherlands. David Gordon is Professor of Social Justice, Director of the Townsend Centre for International Poverty Research and Director of the Bristol Poverty Institute at the University of Bristol, UK. He has written and edited over two hundred books, papers and reports on poverty, health inequalities and social exclusion, social justice and social policy. Professor Gordon was a member of the UN Expert Group on Poverty Statistics (Rio Group) and contributed to its ‘Compendium of Best Practice in Poverty Measurement’. He was a member of the EU Task Force on Material Deprivation and was appointed as a scientific advisor to the European Union/Latin American Network 10 - Fight against Urban Poverty. He advised the United Nations Department for Economic & Social Affairs (UNDESA) on poverty and hunger issues amongst young people (aged 15 to 24) and contributed to the 2005, 2007 and 2009 World Youth Reports. He worked with UNICEF on its first ever Global Study on Child Poverty and Disparities by providing scientific advice and support to over 50 UNICEF country offices. Professor Gordon was also an international advisor for the development of the official multidimensional poverty measure in Mexico and has advised the New Zealand and UK Governments on poverty measurement and anti-poverty policies. He recently led the Poverty and Social Exclusion in the United Kingdom (www.poverty.ac.uk) project, which is the largest project of its kind in UK history. In 2006 and 2007, he was given the tremendous honour of addressing the General Assembly of the United Nations about child and youth poverty. Sarath Guttikunda is the founder/director of Urban Emissions (UEinfo, India), a NASA Earth and Space Science Fellow, and a TED fellow. His main research interest is air quality analysis - finding ways to bridge the gap between science, policy, public awareness and developing the open-source SIM-air family of tools, capable of assessing short- and long- term air pollution scenarios in a multi-pollutant environment. Dr. Guttikunda has a PhD from the University of Iowa (USA, 2002) and Bachelors in Chemical Engineering from the Indian Institute of Technology, Kharagpur (India, 1997). In 2016, UEinfo launched two public portals disseminating modeled air quality forecasts and source contributions for the next 3 days, and other policy relevant information for Delhi and India. In 2017, UEinfo launched the APnA city program aimed at building high resolution emissions and pollution databases for Indian cities. 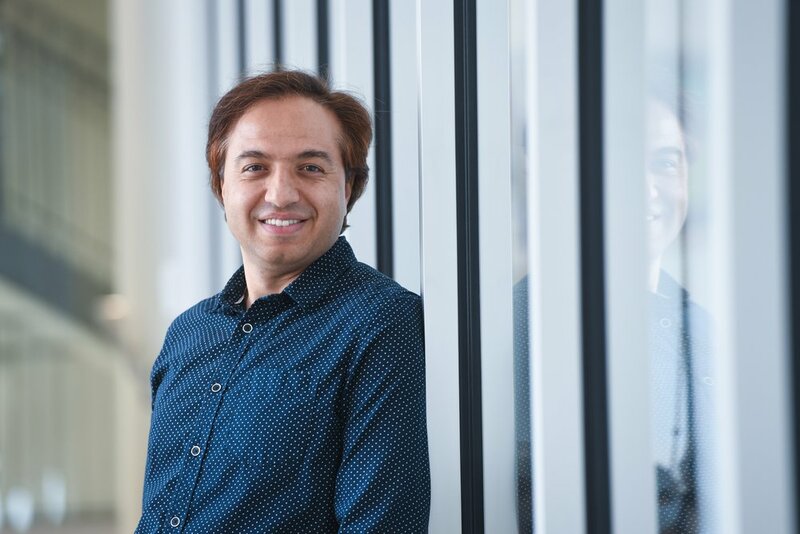 Mohammad Hajizadeh is an Assistant Professor at the School of Health Administration, Dalhousie University. He received his PhD in Economics from the University of Queensland and has held postdoctoral positions at McGill and Western universities. A health economist by training, his primary research interests are analysing equity of health care, measuring inequalities in health and evaluating health and social policies. His other research interests include health services research, global health and economic analysis of chronic diseases. Sam Harper is an associate professor in the Department of Epidemiology, Biostatistics & Occupational Health at McGill University. He is also a member of the McGill University Centre on Population Dynamics and the Montreal Health Equity Research Consortium. His research focuses on understanding population health and its social distribution, with specific interests in impact evaluation, measuring health inequalities, global health, demography, cancer epidemiology, causal inference, and ethical issues in public health. Jody Heymann is Dean and Distinguished Professor of Health Policy and Management, and Epidemiology at the UCLA Fielding School of Public Health, Distinguished Professor of Public Policy at the Luskin School of Public Affairs, and Distinguished Professor of Medicine at the David Geffen School of Medicine. Heymann serves as Founding Director of the WORLD Policy Analysis Center. An unprecedented effort to improve the level and quality of comparative policy data available to policymakers, researchers and the public, WORLD examines over 1500 aspects of health and social policies in all 193 UN countries. Heymann has worked with leaders globally as well as a wide range of intergovernmental organizations including the World Health Organization, the International Labor Organization, the World Economic Forum, UNICEF and UNESCO. Heymann was elected to the US National Academy of Medicine and the Canadian Academy of Health Sciences. 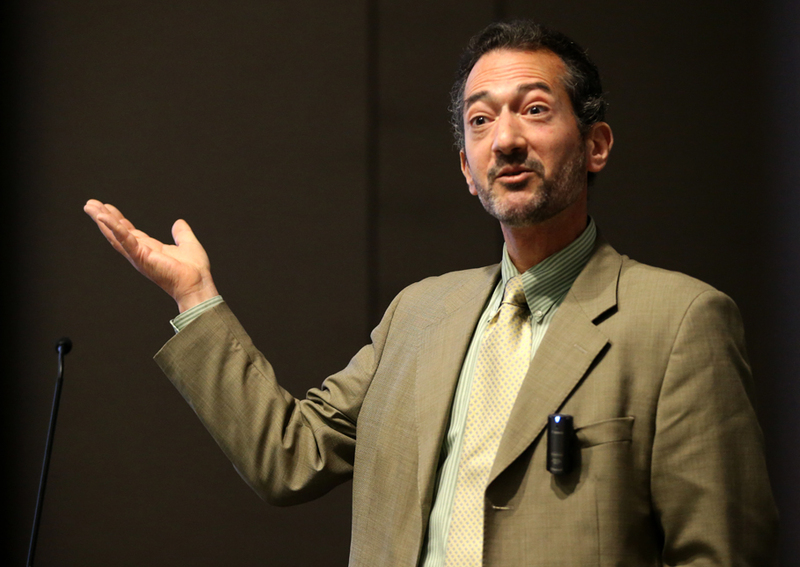 Jay S. Kaufman holds a PhD in epidemiologic science from University of Michigan (1995). He was previously a professor at UNC School of Public Health in Chapel Hill (1999-2008) and is currently Professor in the Department of Epidemiology, Biostatistics and Occupational Health at McGill University (2009-present). His work focuses on social epidemiology, analytic methodology, causal inference for various health outcomes. He is an editor at “Epidemiology” and an associate editor at “American Journal of Epidemiology”. With J. Michael Oakes he is the co-editor of the textbook “Methods in Social Epidemiology” (2nd Edition, 2017). Arnab Mukherji is an applied micro-economist with interests in health and governance. His recent work on health has been in the context of understanding how government-financed health schemes reduce mortality and provide financial protection to the poor. In addition, he has been working on a number of governance-related concerns in a range of different contexts. His work on Bihar explores how sub-national governance can constrain or promote state-level growth. He has published his research in journals such as the Journal of Health Economics, BMJ, Journal of Development Studies and Economic Development and Cultural Change. He is the recipient of the Anuj Mehta Best Student of the Year award, at Ramjas College, University of Delhi. He teaches health economics, applied econometrics, and public policy analysis in the MBA, Masters in Public Policy & Management and doctoral programs at IIMB. In the past, he has contributed to the MachEquity inter-university collaborative, and to Columbia University’s research programme on Indian Economic Policies. He has been the principal investigator on a number of internationally funded research projects and has consulted for the World Bank, the Asian Development Bank and for different state governments in India. Devaki Nambiar is a Senior Research Scientist at PHFI with an interest in research and action on the social and political determinants of health and health reform in resource-poor settings. With a doctorate in public health from Johns Hopkins, Dr. Nambiar has close to a decade and a half of research experience in over half a dozen countries and as many Indian states. A former Fulbright scholar, she has received awards from the US National Insitutes of Health, the Wellcome Trust/Department of Biotechnology India Alliance, Canada’s International Development Research Centre, as well as a number of international and national research agencies. She advises the work of the World Health Orgnaisation on health inequality monitoring and supports policymaking in India on Universal Health Coverage and urban health reform, as well as non-communicable disease (NCD) service delivery as part of comprehensive primary health care. Shailen Nandy is a lecturer in Social Policy in the School of Social Sciences at Cardiff University. His research focuses on the issues of poverty and development, with specific interests in how poverty impacts children in low and middle-income countries, their access to basic services and their living standards. He is currently working with National Statistical Offices for countries in sub-Saharan Africa and the South Pacific, developing indicators to reflect multidimensional poverty for the Sustainable Development Goals, and on a project funded by the UK Economic and Social Research Council assessing the extent and patterning of multiple malnutrition in young children in west and central Africa. He has collaborated with UNICEF on assessing child poverty for over 15 years. Gilles Paradis is a Strathcona Professor and Chair of the Department of Epidemiology, Biostatistics and Occupational Health at McGill University and a medical consultant at the Public Health Institute of Quebec (INSPQ). He is also the founding Scientific Director of the Quebec Population Health Research Network (www.santepop.qc.ca), and was the Director of the Quebec Research Training Program in Public Health Interventions: Prevention, Promotion and Public Policy (4P). He chaired the Advisory Board of the Institute for Population and Public Health of the Canadian Institutes for Health Research (CIHR) from 2007 to 2009. He also chaired the International Society for Cardiovascular Disease Epidemiology and Prevention (Vice-Chair 2008-2010 and 2015-present; Chair 2011-2013) and was the Scientific Editor of the Canadian Journal of Public Health (2007-2013). He completed his MD at Université de Montréal, specialty training in community medicine and MSc in epidemiology at McGill, and a two-year fellowship at Stanford University. He also held a CIHR Applied Public Health Research Chair in chronic diseases prevention from 2008 to 2013. His research includes community-based CVD prevention programs in low-income populations and First Nation communities, the epidemiology of chronic diseases risk factors particularly in children and adolescents, and on the organization of public health services in Canada. Erin Strumpf is an Associate Professor in the Department of Economics and the Department of Epidemiology, Biostatistics and Occupational Health at McGill University. She is a William Dawson Scholar and holds a Chercheur boursier career award from the Fonds de recherche du Québec – Santé. She received her PhD in Health Policy from Harvard University and her BA from Smith College. Dr. Strumpf’s research in health economics focuses on evaluating the impacts of health and social policies on the health and wellbeing of individuals and populations, on inequalities across groups, and on the performance of the health care system. She uses administrative health data, large-scale surveys, and methods for causal inference - principally quasi-experimental designs - to estimate the effects of interventions and reforms in real-world settings. Dr. Strumpf and her research team actively collaborate with decision makers to generate relevant, usable knowledge to improve population health and health care system performance. She has presented her work to provincial ministries of health and of finance in Canada, and to policymakers in France and the United States. Hema Swaminathan is Associate Professor at the Centre for Public Policy, Indian Institute of Management Bangalore. She has a PhD in Agricultural Economics from the Pennsylvania State University. Her broad interests are in in understanding the causes and consequences of social and human development with a focus on intra-household behaviour. Her recent and on going research focuses on wealth and asset distribution between men and women and its implications for poverty, inequality, decision making within the household and other outcomes that affect individual and household wellbeing. She is a co-Principal Investigator of the Gender Asset Gapproject, and directed the Karnataka, India study. Dr. Swaminathan has consulted with several multilateral organizations including the World Bank, Asian Development Bank and the Food and Agriculture Organisation and has served on the High Level Panel of Experts for Food Security and Climate Change, FAO.